Dr. Menon has been providing Dental care since 2002. Dr. Menon received her Bachelors in Dental Surgery (B.D.S) from Rajiv Gandhi University, India. After practicing as a General Dentist for three years, Dr. Menon relocated to the United States. 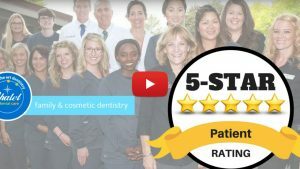 She completed her three year residency in Periodontics from Saint Louis University, Missouri in 2009 where she received a Certificate of Specialty in Periodontics and Masters of Science in Dentistry (M.S.D) degree. During her specialty training, Dr. Menon also provided services as a clinical instructor along with patient treatments at the Southern Illinois University from 2006-2009. Dr. Menon is a Board Certified Diplomate of the American Academy of Periodontology (AAP), which certifies that she is a periodontist who has made significant achievements beyond the mandatory educational requirements of the specialty. She is also a member of the American Dental Association (ADA), Minnesota Dental Association (MDA), Saint Paul District Dental Society (SPDDS) and the American Academy of Periodontology (AAP). Dr. Menon lives with her husband Rajesh and enjoys cooking, dining, reading, traveling and interior decoration.